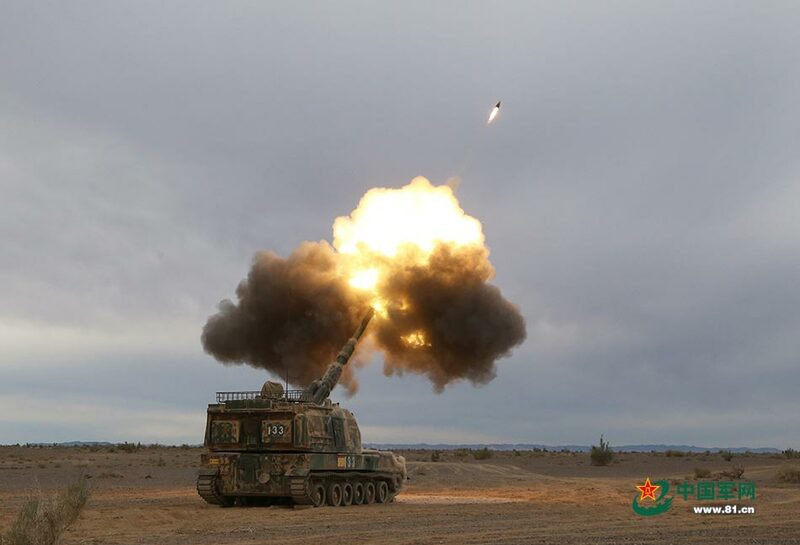 China Defense Blog: Photos of the day: Extended Range Full Bore – Base Bleed – Rocket Assisted (ERFB-BBRA) projectile in action. 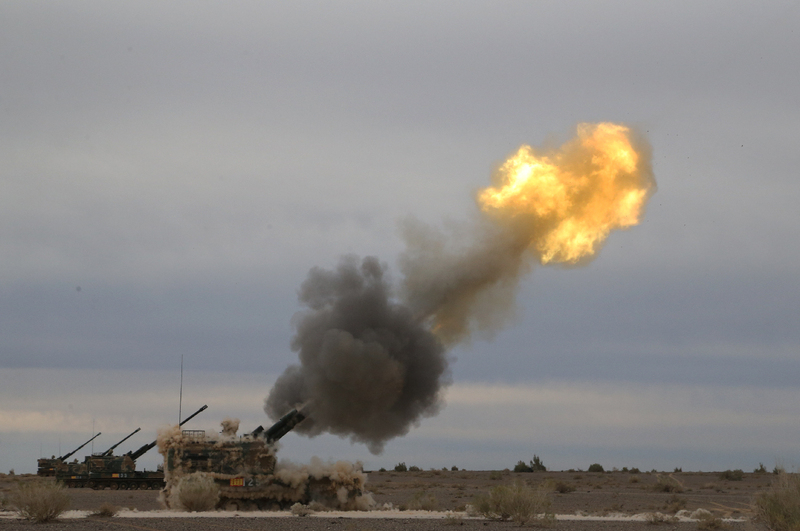 Photos of the day: Extended Range Full Bore – Base Bleed – Rocket Assisted (ERFB-BBRA) projectile in action. 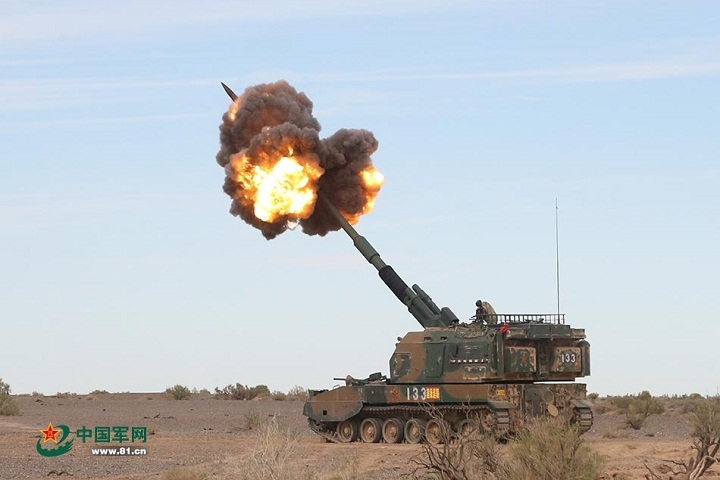 This Rocket Assisted Norinco 155mm projectile has a range of 53KM. It can be GPS guided and with a maximum rate of fire of up to eight rounds a minute. 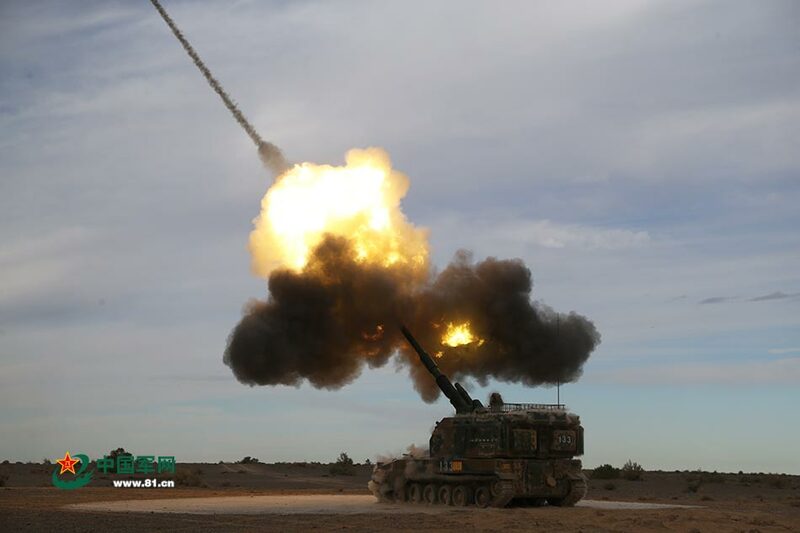 The PLZ-05 below firing the ERFB-BBBRA are members of the Arty Regt, 123rd Mech Inf Div, 41 Group Army, Southern Theater Command. The 123rd Div orbat thread in the forum is misplaced under the Eastern Theatre Command. Also, the turret numbers 1XX and 2XX denote at least 2 battalions, right? 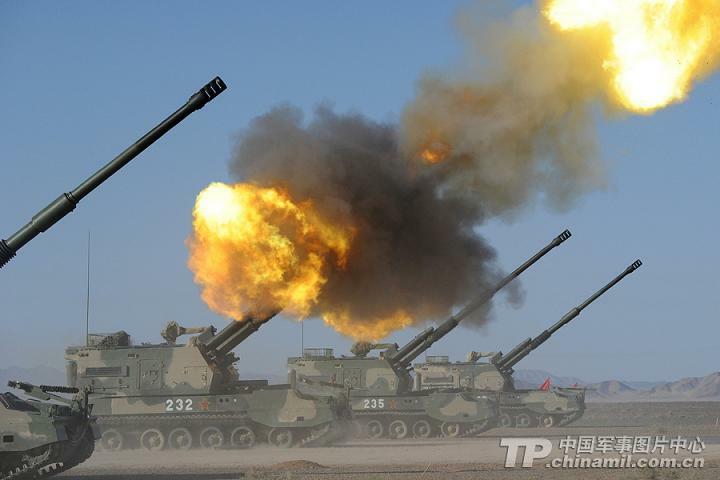 In the 123rd Div orbat thread, Kcandrew also mentioned in 2012 a PLZ-05 battalion with turret numbers 5XX. Does this mean 123rd Div has a whopping three PLZ-05 battalions? Does this mean 123rd Div has a whopping three PLZ-05 battalions?